These photos were taken was on May 21, 2018 at 10:37 AM. 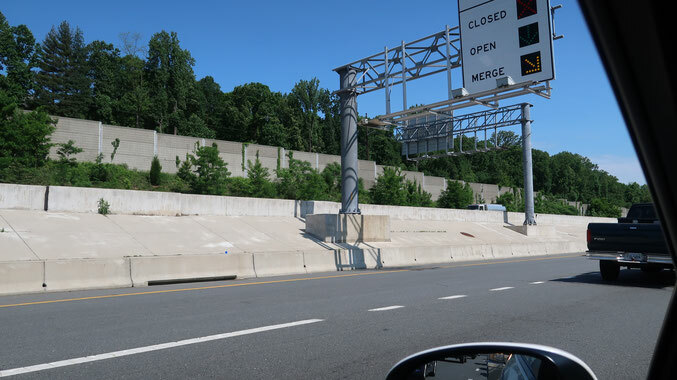 These photos were taken on the Beltway in Virginia, just outside of Tyson's Corner. The "Take It!" Came as I found myself crawling along in commuter traffic and finding more micro time availability for my visual attention to take in more images while driving. Ordinarily I schedule myself to avoid traffic tangles whenever possible. This occurence happened on a Monday which I have as a day off from my part time job. This being a day in the ordinary work week, is used by me for the usual run of business or medical appointments which cannot be done during my work days. The above being part of the background for this match up. The other being a growing appreciation for some of the creative art work involved in the body art of tattoo's. As I slowly made my way home from having completed the wait at the car dealership while having had routine maintenence at the earliest hour possible, it was still early enough to have the sun casting the shadows that it does when it is still not that far up from the horizon. 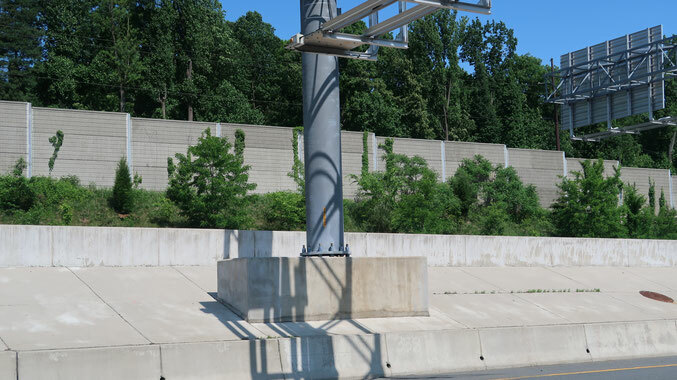 The shadows formed in this instance came from the sun shining through the structure of an overhead sign above the Freeway. The angle of the sun enabled the shadows to fall in part on the upright (call it a leg) holding up the sign. The lattice like look on this structural element made its way into my comparing it to the art work sometimes found on the legs of our human friends (now that it is warm weather finds us able to witness more of a display with the wearing of shorter pants and dresses). The art work found in the "Shadow Tattoo" is fleeting at best and in this application, as far as viewings, better left to that rare moment found with an instaglance should simmilar circumstance present itself. Safety First! must always be followed. Thank you for taking time to join me in what may be the only time I have the opportunity to take this slow photo from the fast lane. Wow thats impressive. I'd be too afraid to take a picture on the freeway. Cool how the shadow bends across the bar. Look at that blue sky, that's incredible! It sorta looks like a tangle of wires wrapping around the pole and laying on the concrete.